Not much happening in this attempt at suspense. A dull first half leads to a second half with some suspense but not enough to sit through the whole thing. It’s only a bit over an hour but better movies await. 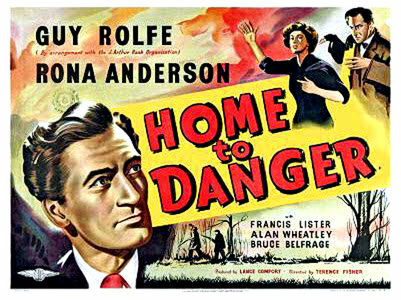 Barbara (Rona Anderson) comes back to England from Singapore. Her late father’s business partner Howard Wainwright is waiting to take her to the lawyer’s office for the reading of the will. He tells her her father’s death was judged a suicide. Wainwright knows he’s being followed by Lips Leonard. At the office the will is read. Barbara is left practically nothing and Wainwright gets the bulk of the estate. But wait. A few days before his death her father made a codicil leaving her everything. Also making out is a charity for widows and orphans. They get some money and the use of a wing of the house. Also at the reading is Barbara’s childhood friend Robert (Guy Rolfe). Back at the house Wainwright gets a call from someone he owes a lot of money to. He tells him what happened with the will. He’s instructed to organize a shooting party. While everyone shoots at birds, someone will shoot at Barbara. Someone takes aim at her. Then they hear a scream. The shooter is underwater with his hat floating along. When the police bring up the body no one knows who it is. Wainwright does. It’s Leonard. He keeps that to himself. Barbara tells Robert she recognizes him as a man who followed her to the lawyer’s office. 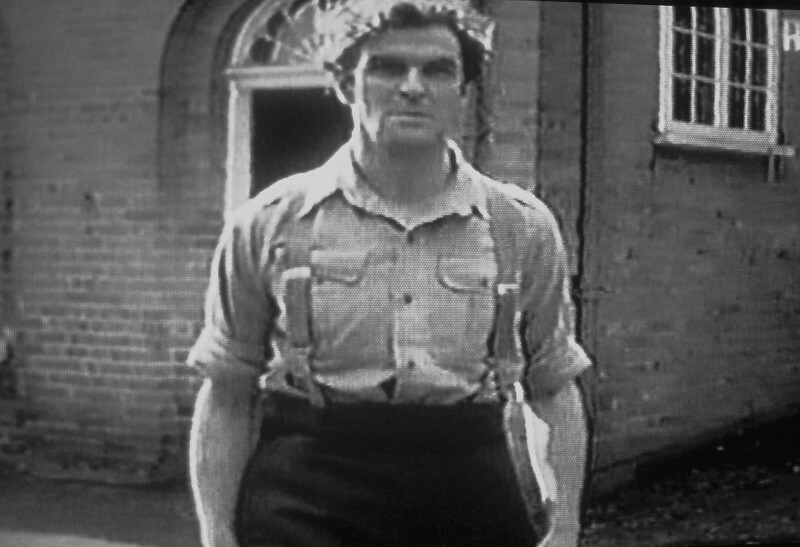 She also reveals to Robert that a servant, Willie (Stanley Baker), told her he discovered her father alive. With his last breath he said, “It’s in the safe at the office.” He also told her he saw Wainwright talking with the dead man. That night Barbara and Robert sneak into the office with a safe cracking friend of Roberts’. He opens a hidden safe. So….that’s the racket. Now it picks up a little and the whole thing ends with a long chase and some flying bullets. There’s no mystery as everything is revealed. Maybe that wasn’t such a bad thing since it was obvious who was doing what. Guy Rolfe played the title role in the 1961 movie “Mr.Sardonicus.” In the 90’s he made several “Puppet Master” videos as Andre Toulon.